The wave of unrest which took place in the 1840s in Wales known as “the Rebecca riots” stands out as a success story within the generally gloomy annals of popular struggle and defeat: farmers and workers, outlandishly dressed in bonnets and petticoats, showed their outrage against unfair taxes by attacking tollgates and other symbols of perceived injustice. 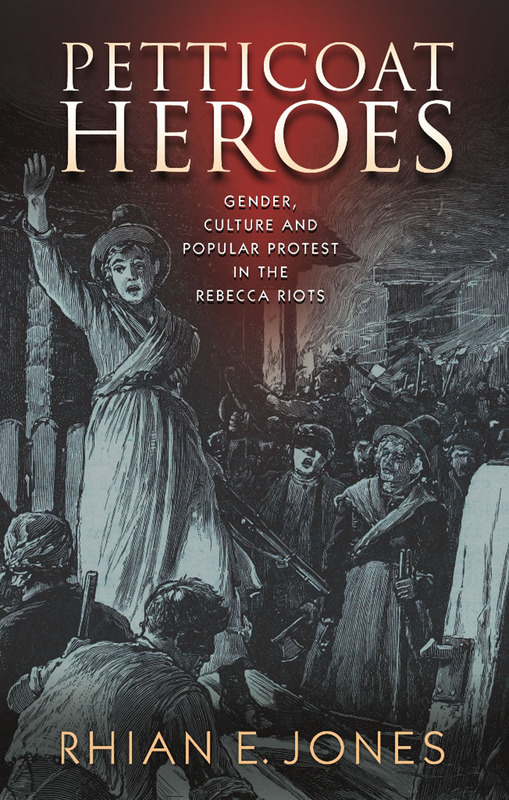 Petticoat Heroes draws on the fields of cultural history, gender studies, and anthropology to present fresh and alternative arguments on the meaning of Rebeccaite costume and ritual, the significance of the feminine in protest, and the links between protest and popular culture. An epilogue discusses the Rebecca riots in the context of the contemporary resurgence of leaderless protest around the world including the Occupy and Anonymous movements. "Popular protest in drag? Read this lively and authoritative study to understand the history, myths and legacies of the notorious Rebecca Riots in early Victorian Wales." "This is an important and impressive piece of historical writing, displaying a masterly unity of conception and execution, and breaking new ground in drawing on the major advances of recent years in both gender and cultural history. Jones has brought an energy and a verve to our understanding of the Rebecca Riots that reactivates the debates around what Geoffrey Elton termed Wales's 'special revolutionary enterprise.'"